It’s unpleasant to recall the 2016 presidential primary. But bear with me for a moment. During that time, Hillary Clinton’s progressive feminist defenders consistently argued that a female politician could never get away with being as far left as Bernie Sanders. Women, after all, have to show how tough they are, and can’t further marginalize themselves by embracing left-wing ideas. 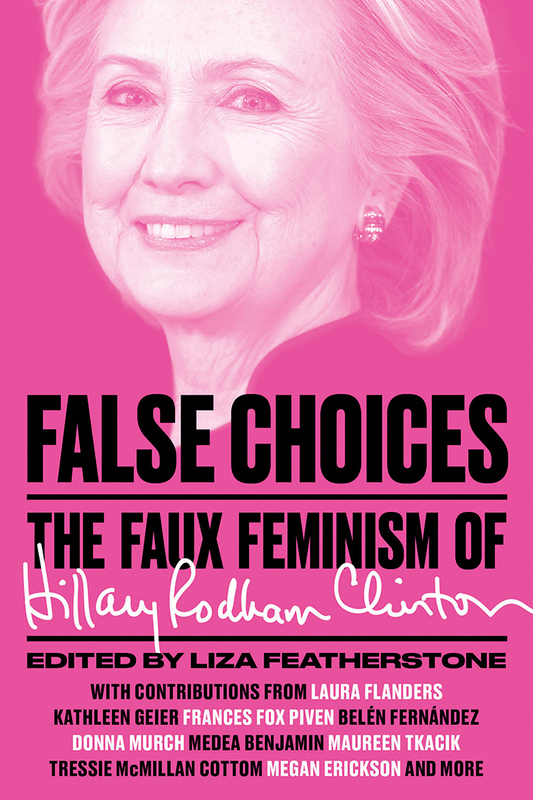 Clinton’s history–waging imperialist war, championing a callous and racist end to important public assistance programs and shilling for some of the world’s worst corporations–was excused as a woman’s rational adaptation to a world that was somehow rigged to allow only male politicians to be socialists. Bernice or Bernadette Sanders was simply unimaginable, these supposedly left feminists argued strenuously. To have access to power, a woman would have to play the game. Bernie, in this line of thinking, could only get away with socialism because he was a white male. At that time, no national politician other than Bernie Sanders was using his white male privilege in this particular way, a state of affairs that rendered this argument thin on data points (difficult to prove or disprove). This year’s midterm elections have proved it to be complete nonsense. In their wake, two socialists have been sworn in to Congress: Rashida Tlaib of Michigan and Alexandria Ocasio-Cortez of the Bronx. They don’t seem interested in allowing white males to dominate the socialist legislative space. There are now 131 women in Congress, more than ever before, many of them women of color and very progressive. Along with Ocasio-Cortez and Tlaib, also sworn in last week were Congress’s first-ever Native American women (two) and first Muslim women (Tlaib as well as Minnesotan Ilhan Omar, who came to the U.S. at the age of 12 as a refugee from Somalia). Among this freshman class, several others are the first black women to represent their states. Alexandria Ocasio-Cortez is the youngest Congresswoman in history. So far, the content of Ocasio-Cortez’s politics is equally fearless. She is the first U.S. politician ever to respond to climate change with anything approaching the seriousness it demands–and in a seriously redistributive way, proposing a Green New Deal, which would create jobs and be funded by taxing some extremely rich Americans at 70 percent. Many of these new left-leaning women are also members of the Congressional Progressive Caucus, which is now the largest in the House and proposing a People’s Budget, investing a couple billion dollars in our crumbling infrastructure, including mass transit, water systems, roads and bridges. Perhaps this effort will succeed where others have fallen short. After all, Margaret Talbot of the New Yorker recently reported that the new infusion of women into Congress bodes well for infrastructure: female representatives have a better track record of delivering to their districts. Ocasio-Cortez is also leading on foreign policy, an area the U.S. mainstream left sometimes avoids, making common cause with longtime antiwar Congresswoman Barbara Lee, who was the lone vote against a military response to the September 11 terrorist attacks. For young women discouraged by Hillary Clinton’s career–which seemed to show that a woman must passionately champion murderous wars and venal capitalist interests, only to lose when it most matters anyway–the new progressive Congresswomen set a badly needed and much more inspiring example. The momentum behind these socialist women comes partly from the #MeToo moment. It also comes from a grassroots left feminist momentum. The wave of left-wing women was made possible by the huge numbers of women who were ready to canvass, phone bank or text for them. Look what’s happened over the last two years: not only women’s marches, but strikes: from the International Women’s Day Strike to a nationwide wave of teachers’ strikes which is ongoing. 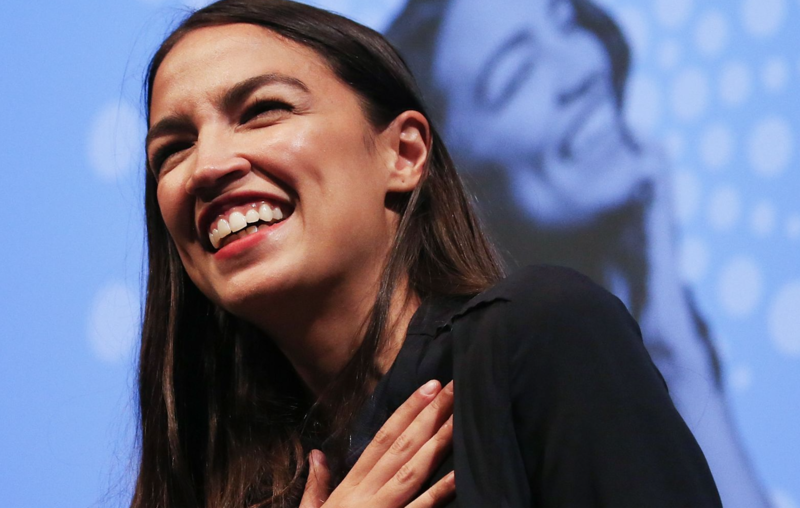 Looking at Ocasio-Cortez’s smiling face–which is all over your Instagram, or should be– offers hope that we can break free of the tired feminism vs. socialism debate of 2016. As we grow in numbers and build power, we don’t have to choose. Of course, Bernie will run, and he already has my vote (though if Stacey Abrams were to win the nomination, he’d make a great running mate. Nothing seems to kill that guy and being immortal seems like a solid qualification for the vice-presidency.) But although Elizabeth Warren, who is already running, is (so far) no socialist, she’s also (so far) no Hillary. She has spent her career fighting corporate interests and working to improve the material conditions of ordinary Americans. Of course, neoliberal feminism is still alive and well in our electoral sphere. Kamala Harris and Kristen Gillibrand have been making overtures to Wall Street, while Harris has been throwing love to the Blue Lives Matter crowd. And we are still seeing how easily feminism can be weaponized against left politics. We will see charges of sexism and racism used to defuse criticism of Kamala Harris’s record as a prosecutor. News stories about sexual harassment within the Bernie Sanders 2016 campaign already abound, and while there’s no excuse for such problems, one suspects that we won’t be hearing nearly as much about Sanders’ strong apology or about the prompt staff changes he made in response. Nor about the sexist culture of all political campaigns, like Hillary Clinton’s campaign, which, unlike Sanders, she has not even acknowledged, much less taken responsibility for. At the same time, even some centrist Democrats are embracing social democratic feminist priorities, like Medicare for All. And, at least on that one, they may have a tough time backing down. A growing grass-roots movement is already pushing the new Congress on the issue and has already visited the new members. The Democratic Socialists of America (DSA) are planning a door-knocking campaign on Medicare for All. On January 18, the day before the Women’s March, Center for Popular Democracy, Social Security Works and National Nurses United are holding a Lobby Day to urge legislators to pass the Medicare for All bills sponsored by Senator Sanders and Congresswoman Pramila Jayapal. It turns out Hillary Clinton’s apologists were limited in their attempts to imagine an American socialist woman politician. Bernice Sanders may not exist, but Rashida Tlaib and Alexandria Ocasio-Cortez do. And it seems likely that more are coming. Liza Featherstone is a staff writer at Jacobin magazine. She is a contributing editor to The Nation, where she also writes the advice column “Asking for a Friend.” Her work has appeared in The New York Times, Ms., and Rolling Stone, among many other outlets. She is the author of Selling Women Short: The Landmark Battle for Worker’s Rights at Wal-Mart (Basic, 2004) and Divining Desire: Focus Groups and the Culture of Consultation (OR Books, 2018). 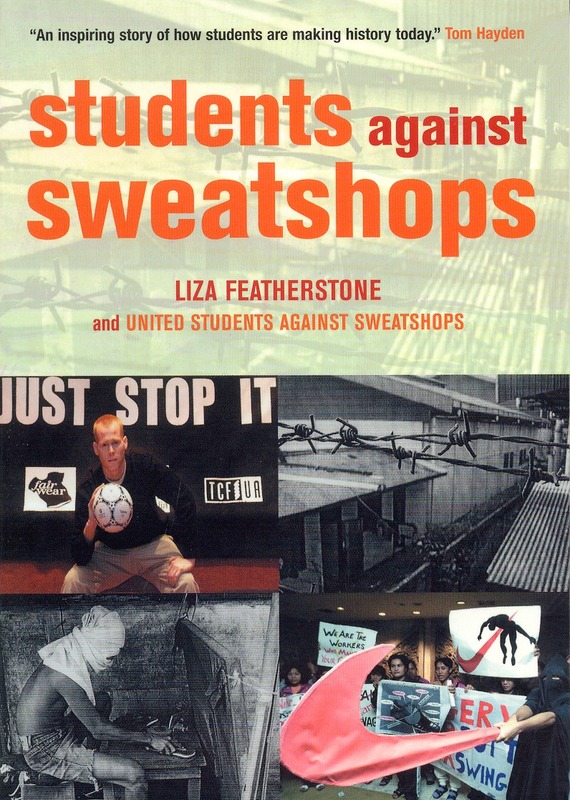 Featherstone is also the co-author of Students Against Sweatshops: The Making of a Movement (Verso, 2002) and editor of False Choices: The Faux Feminism of Hillary Clinton (Verso, 2016).